From left to right: Phuti Mahanyela, non-executive director of Atterbury Property Fund and Mayor of Johannesburg Herman Mashaba. The first sod of the Jewel City redevelopment in Joburg CBD has been turned. 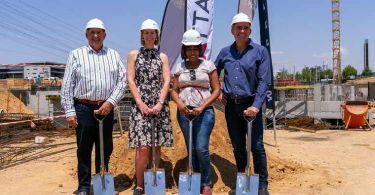 An initiative by Divercity Urban Property Fund, this major investment in Joburg will have a total development value of over R1.2 billion once completed. Jewel City has been closed to the public for decades. Spanning six city blocks (which were the former heart of the diamond and precious metals trade in Joburg), Divercity is converting it into the heart of a thriving, modern inner-city neighbourhood. The redeveloped existing buildings and construction of the new buildings will span over 40 000 square meters. 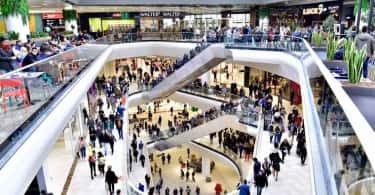 The revitalised Jewel City will reopen to the public as a vibrant mixed-use precinct including a school, clinic, gym, parking and convenience retail as well as fast food and restaurants. The development will include 20 000 square meters dedicated to commercial space, 1 200 new residential apartments in its first phase and up to 1000 square meters in its second phase. The development will create significant employment within the city; an estimated 1 279 temporary jobs and 1 384 permanent jobs. In the next eighteen months, Divercity will launch more than 75 000 square meters of new residential space in Joburg, in Jewel City and its surrounds, with more than 2 200 apartments in total: 80% -plus of this falling within the rental cost range defined as social housing by the Social Housing Regulatory Authority of South Africa. 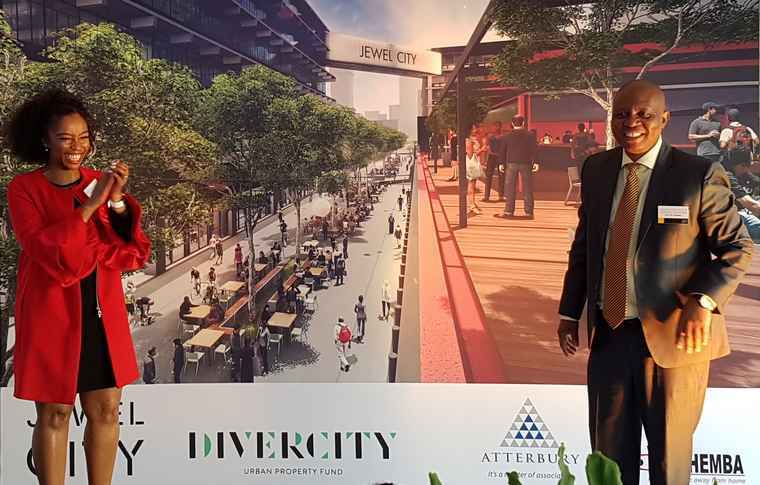 Divercity’s major shareholders and stakeholders include Atterbury Property, Ithemba Property, Talis Property Fund, cornerstone investors RMH Property and Nedbank Property Partners whom all attended the ceremony where the first sod was turned by Mayor of Johannesburg, Herman Mashaba, Joburg’s NMC for Development Planning Reuben Masango and non-executive director of Atterbury Property Fund, Phuti Mahanyela. The Jewel City project will enhance the area. It will be fully pedestrianised with a people-friendly walkway along Fox street. Its pedestrian walk links it with two other Divercity projects; to its west, the new Absa Towers Main redevelopment and, to its east, new residential developments in vibey Maboneng. With the reconstruction of Jewel City underway, its first tranche of retail, commercial and residential space will be ready by October next year. Completion of the precinct has been scheduled for 2020.